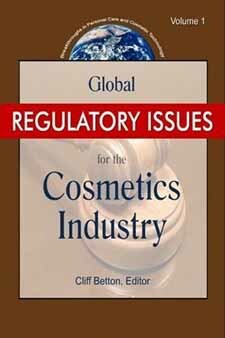 Global Regulatory Issues for the Cosmetics Industry simplifies the complex global Cosmetic Regulatory landscape by addressing the issues affecting the manufacture, packaging, and marketing of cosmetic products across the globe. Included are several chapters that examine the new European Union REACH regulation (Registration Evaluation and Authorization of CHemicals). Other chapters address regulatory developments of individual countries, toxicity requirements, as well as how to develop a global regulatory strategy. Anyone intending to export cosmetics from their home country, wherever that may be, will need this book.